My roommate and I have been watching "How I Met Your Mother" on Netflix this week. And before that we went through Dawson's Creek. As I was watching HIMYM, I realized something that happens in a lot of TV shows that you don't always see in real life... ok many things are, but I saw one thing in particular that I wish I did see more often. 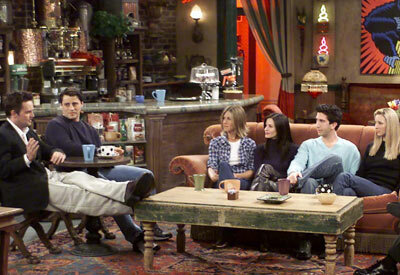 Have you noticed in HIMYM that they are always together. All 5 of them. Whether its at the bar, or someone's apartment, they are rarely apart. 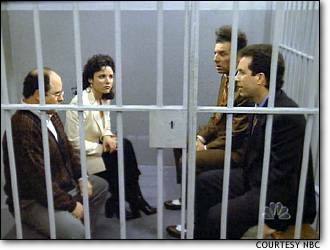 Then there was Seinfeld. They were always together. They even went to jail together. And then there is Friends. Between the unrealistic coffee shop and their 2 amazing New York apartments they were always together. Now there were many things that were dysfunctional about all of those situations but what was great was that they "lived" together. They did life together. They battled life's ups and downs together. They even stuck through the flaws that all relationships bring. They weren't married to the group, but in many respects they were. I wish everyone had that. Now not everyone is extroverted. I'm not. But I love my "few" people. I love spending time with them. Laughing with them. Processing life with them. Praying with them. Crying with them. In many respects I wish we had an open door policy where they just showed up, ate dinner and stayed as long as they wanted. Now... disclaimer. I am not saying i want that with all of my friends... but with the ones I call close family, I do! I don't want to live a life of independence. I want to rely on these people! Even when its uncomfortable. Even when its ugly. I want to trust them with the parts of me that aren't perfect... cause lets face it... that's a lot of me. My roommate/best friend/sister-in-life and I try and make it a normal thing to meet up with friends in a once a month fashion. We have one couple we now hang out with once a month. The times we've had with them have been so full of fun. And at times, we've shared some real life truths with them. We have another family that we are beginning to do that with. We've been doing Life with them for a while now but it hasn't been as consistent as either of us would like. I love those times. The ones where they call us up and say "can you take the kids?" or "Come over and hang." My roommate is even beginning to have Sunday Dates with their 6-year-old daughter. That's what I want my life to be like. Constantly soaking up the people in my life and loving them through all that life throws at us! I've learned a lot through the community I have. I've been pushed more then I ever had been! Now I get that this isn't appealing to everyone. What does community look like to you? I'd love to hear what that is. I want my LIFE to be like it is for all the characters in HIMYM. Like you said, they're all so close to one another. 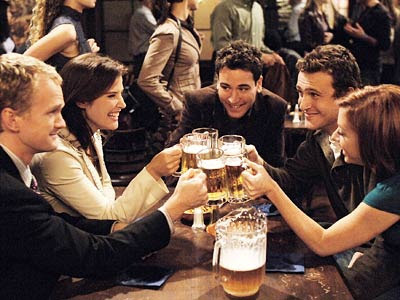 I'm close to my friends, but not to the extent like the characters on HIMYM...to them, they're like each other's family. But maybe that type of community only exists in TV land. Maybe it's just not reality. I don't know. I love your post. I miss college and those times like the comedies you mention. Good times. So true, sometimes I wish I had all that. Friends always with you helping you out each step of your life... Well I think thats what God is for. For him to help us out. Love this post! Love your thoughts! Community is so special and something so hard to find. It took me 22 years of living to find a community that desires to spend time together, fight together, serve together and pray together. If you have it cling to it. Intentionality is the best way to build a good thing, eventually being intentional will just become habit. This is so true! I am obsessed with HIMYM. 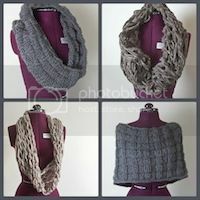 I'm a new follower/blogger and I love your blog!